Norwegian, Europe’s third largest low cost airline, began flying from Birmingham in March 2015 has since introduced flights to Madrid, Barcelona and Malaga – with year round services to Tenerife and Gran Canaria set to launch this week. The airline will offer two flights per week to Tenerife and a weekly flight to Gran Canaria, with fares from £49.90 one way. All passengers travelling from Birmingham will fly on state-of-the-art Boeing 737 aircraft with free Wi-Fi throughout their journey. The launch of the new destinations means that Norwegian have introduced more routes to Birmingham Airport than any other airline this year, and has carried over 70,000 passengers since it began flying from the West Midlands. Norwegian is already the 16th biggest airline at the airport (by passenger volumes) out of the 50 carriers who operate from Birmingham. 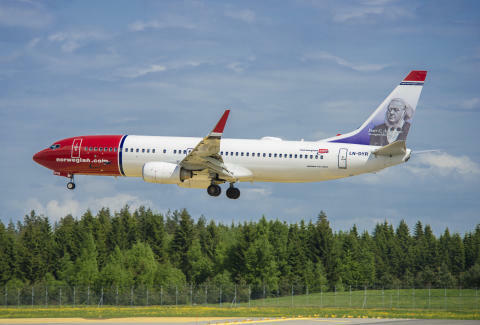 Thomas Ramdahl, Commercial Director for Norwegian, said: "Norwegian’s combination of low-cost, high-quality flights has proved a hit with West Midlands’ holidaymakers and we are delighted that so many have chosen to fly with us. Tenerife and Gran Canaria are popular destinations for sun seekers and compliment our existing routes to Malaga, Barcelona and Madrid. "Norwegian is challenging the stereotypes often associated with low-cost airlines by offering free Wi-Fi, new planes and excellent customer service and we are delighted that this has helped Birmingham Airport achieve a record breaking 10 million visitors over the last year." William Pearson, Aviation Development Director, Birmingham Airport, said: "We’re not surprised that Norwegian has had such a successful launch from Birmingham as it offers such an excellent and affordable product to popular Spanish routes. We are confident that these new winter sun routes to Tenerife and Las Palmas will also be a hit with our customers and we look forward to continued growth over the colder months."